Our range of products include trendy wooden table lamp, large round wooden table lamp, designer wooden table lamp, decorative wooden table lamp, wooden table lamp octa hydra shade and table lamp madhubani. Driven by technically advanced facilities at our modern infrastructure, we are providing an extensive assortment of Trendy Wooden Table Lamp. Match the decor of place, presented range is precisely manufactured by skilled and experienced professionals making use of cutting-edge technology and quality assured raw material in compliance with defined industry norms. 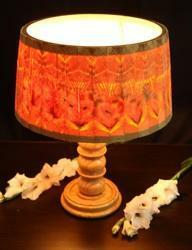 The offered lamp is exceedingly demanded and appreciated in the market. 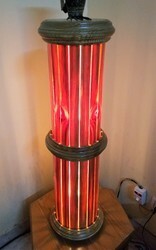 We are offering this lamp in different specifications. 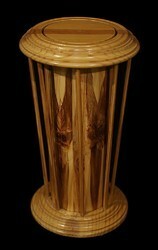 We are a reputed organization, offering Large Round Wooden Table Lamp to our esteemed clients. Our offered lamps are designed using quality-approved raw material and the latest technology by our creative designers. 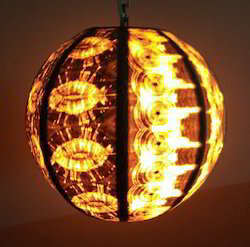 These lamps can be customized, as per the variegated requirements of our clients. We assure our customers that the entire range is strictly tested against various quality parameters, before final delivery. 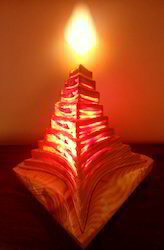 We are getting huge appreciation from our clients for offering a broad range of Designer Wooden Table Lamp. This range is crafted as per the ongoing market trends with the help of advanced technology under the guidance of our skilled professionals. Widely used in offices, homes, hotels and other different places, our offered range is available in different sizes, colors and designs in order to meet the varied needs of the clients. With the aid of our experienced professionals, we are able to bring forth a comprehensive gamut of Decorative Wooden Table Lamp. 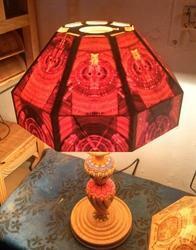 This lamp is made with high precision using supreme grade material with the latest designing tools. 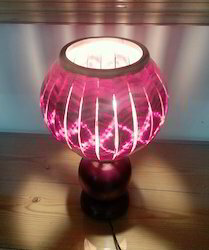 We offer this lamp in numerous designs along with quality packing in order to maintain its defect free range. 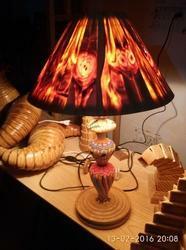 This lamp can be availed from us at a nominal rate within a stipulated time. 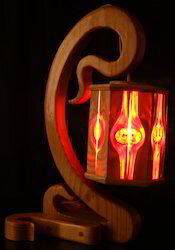 A unique combination of ethnic and contemporary work of art in the Wooden Table Lamp Octa Hydra Shade. The base shapes like a lady enhances its beauty which is colourfully hand painted with Madhubani art. A unique Table Lamp Madhubani handcrafted with Madhubani base.